Each summer Federated members have an opportunity to see where our electricity is generated. 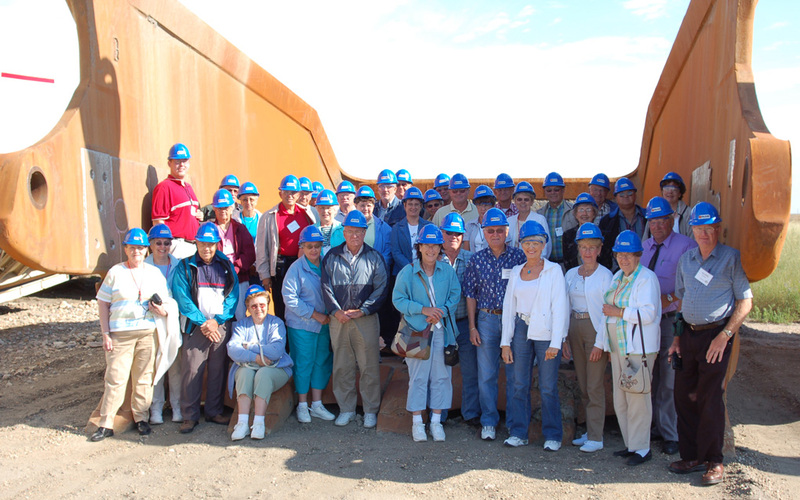 Members travel by bus to Bismarck, ND from there they will travel to various points of interest in the Bismarck area. They will have the opportunity to visit one of many coal generation plants and a working coal mine. The trip may also include a visit to area historical sites, a coal gasification plant or Garrison Dam. Join us June 18-20. Register by calling (ask for Andrea) or e-mailing Federated. The cost is $138/Federated member or $275/Federated couple. You can also win a free trip by registering at Federated's home shows in March. 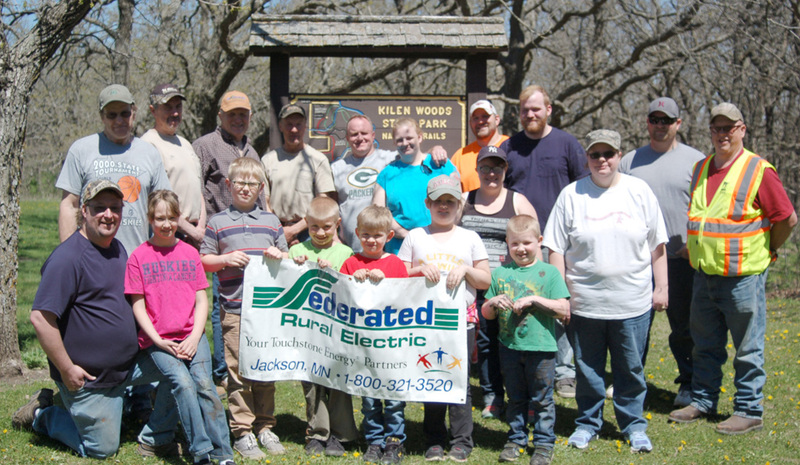 Federated Rural Electric Cooperative employees and volunteers will help clean up Kilen Woods State Park May 4. Help clear trails, paint picnic tables and pick up litter. The program is part of Greentouch, which is a partnership between Minnesota's Touchstone Energy Cooperatives and the Minnesota State Park System. Over the last nine years Greentouch has organized nearly 8,543 volunteers who donated more than 38,600 hours taking care of Minnesota's State Parks. Watch the co-op's newsletter, Connections, and this website for updates on the 2019 Greentouch Project, if you are interested in participating. You can also contact the co-op for more information. While a photo is worth a thousand words, an actual live demonstration is worth a million words," said the co-op's safety coordinator. 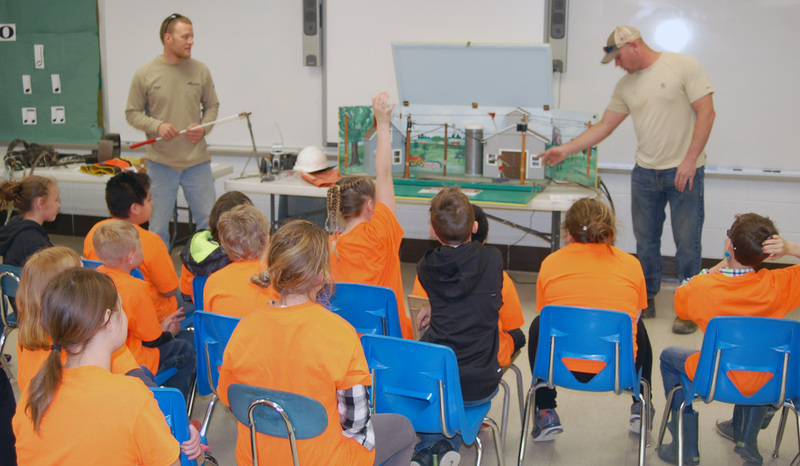 "Our co-op has a tabletop electrical safety demonstration that we use for school classrooms, 4-H clubs or other organizations. We focus on farm and general electrical safety, but it can be adapted to fit almost any group." "Recently we participated in a farm safety day camp for kids," added the safety coordinator. "After a morning of rotating sessions, one youngster made our day when she said that our demonstration was the best. That's a great compliment, but the best compliment is if participants learn and use electrical safety in their daily lives." If you are interested in a safety education demonstration or other information, call or e-mail the cooperative. If possible, please give the co-op advance notice for scheduling the safety demonstration. Since 1990 Federated has adopted a two-mile stretch of Highway 71. Presently, Federated employees and their families walk the two miles past Federated's Jackson office in the spring and fall to help keep our area looking nice. Would your organization or students like to learn more about energy-efficiency? We would be happy to do presentations on compact fluorescent lights, energy star, heat pumps and more. Call or e-mail us to line up a speaker, handouts or even a tour. One person is electrocuted in the home every 36 hours, according to the Consumer Product Safety Commission data. One person is electrocuted at the workplace every day, according to the Occupational Safety and Health Administration data. An estimated 160,900 residential electrical fires claim more than 800 human lives, 7,660 injuries and $1.4 billion in personal property each year, according to the Consumer Product Safety Commission data. Your electric cooperative hopes that its members are never among these statistics. Safety education is a top priority at the cooperative for members and its employees.